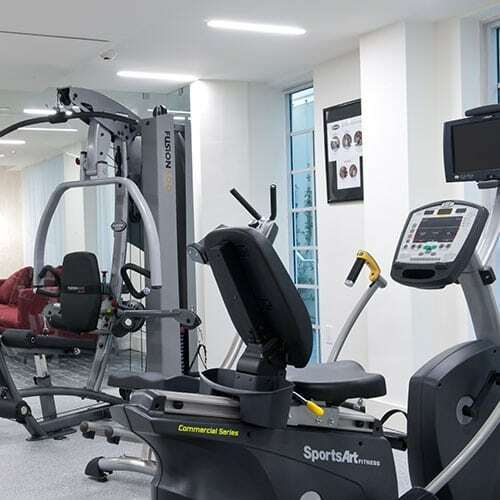 Located on the ground floor of the building, our gym has a variety of free weights and machines, exclusively for guest use. A weekly Aqua Aerobics class is hosted at the pool. 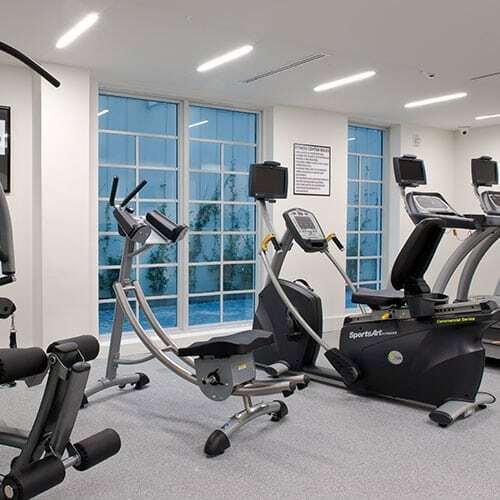 Located on the ground floor of the hotel, our light-filled private fitness center features two treadmills, an all-in-one weight resistance machine, a rower and an ab machine. 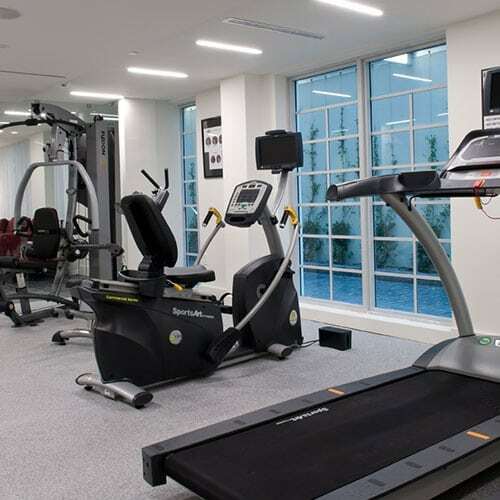 There is additional space for guests who want to work out with free weights or need space for stretching or practicing yoga. Our fitness center also offers a weekly aqua aerobics class, guests can sign up at the front desk.